Recently I have been writing about my newfound love of The Last Supper by Leonardo da Vinci. But this iconic painting is not the only masterpiece in Milan. Everything seems to be an incredible work of art in this fashionable metropolis. Exhibit #1: The Duomo — The fourth largest church in Europe (fifth largest in the world!). 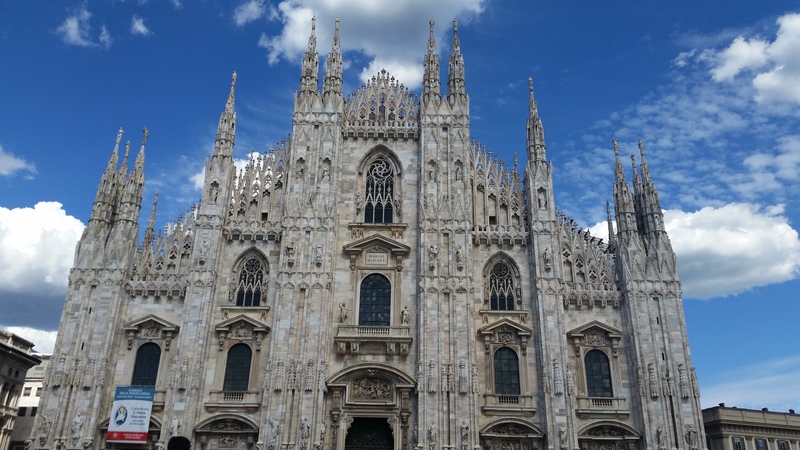 Construction began in 1386 and was built to house 40,000 people, or Milan’s entire population at the time. It is also home to thousands of statues both inside and out, and you can get a birds-eye view of the city by taking a rooftop tour. 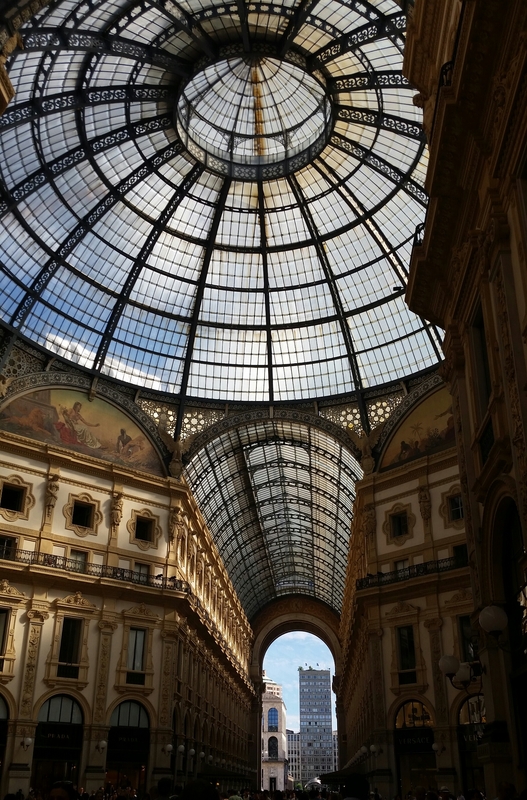 Exhibit #2: Galleria Vittorio Emanuele II under a gorgeous summer sky — For fashion at its highest, look no further. The Galleria, built in the late 1800s, is considered one of the world’s oldest shopping malls. Packed with shoppers, diners and wanderers, it’s easy to see why the Galleria is nicknamed il salotto di Milano (Milan’s drawing room). 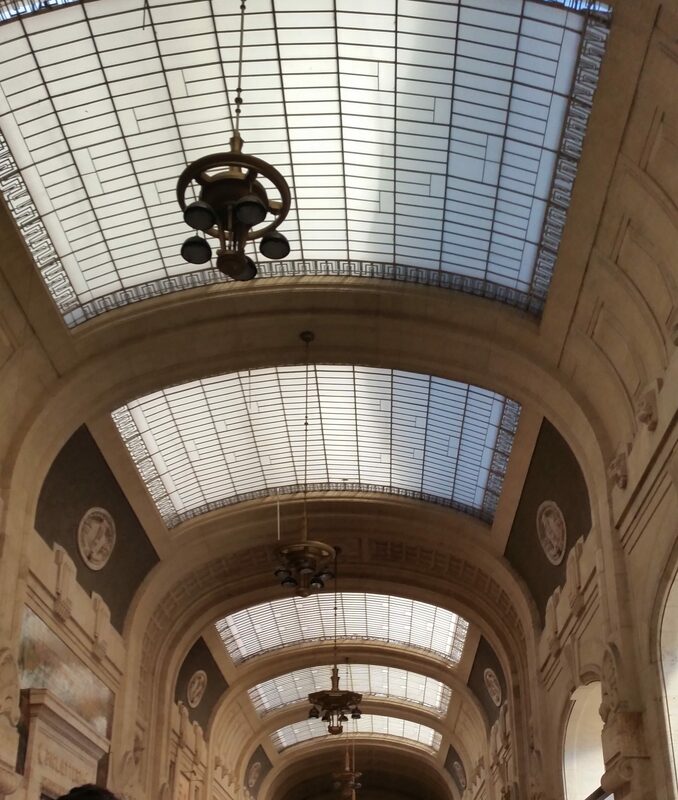 Exhibit #3: The train station — Rarely have I had a train station take my breath away for its beauty, but I found myself gasping and reaching for my camera in Milano’s stazione Centrale. The post Masterpieces Abound in Milan first appeared on Prayers and Piazzas. 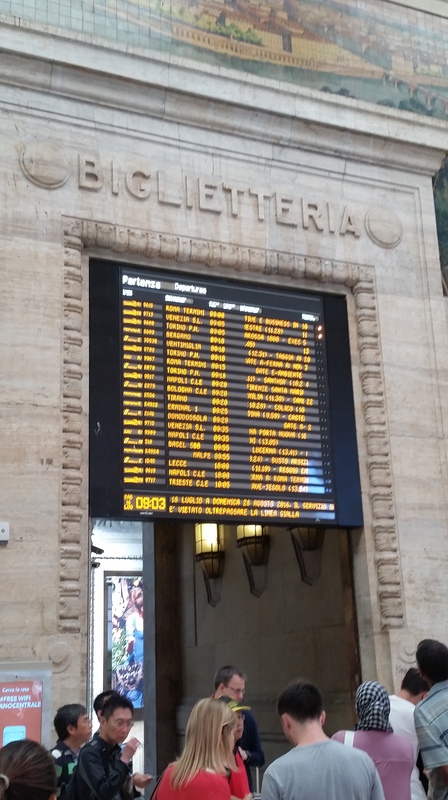 Tags: A Snapshot From, Italy, Milan, Snapshots from Italy, Travel. Bookmark the permalink. Nice article. We are heading to Milan soon, and I feel like this gives me a little direction! Hi Diane, and welcome! I’m glad you found this post helpful and I hope you make it to Verona. 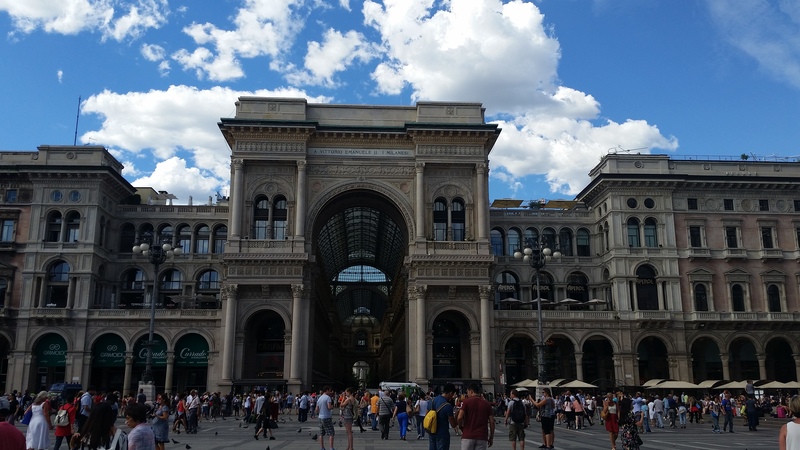 I’m including a couple of links here too with posts about Milan which you might enjoy. Have a wonderful trip! Thank you for your comments and photos of a city I’ve seen too little of. And thanks for visiting Under Western Skies. My pleasure, and same to you. Thanks for stopping by, hope to see you here again! I do a lot of my photos on my iPhone! Cameras sure have come a long way! 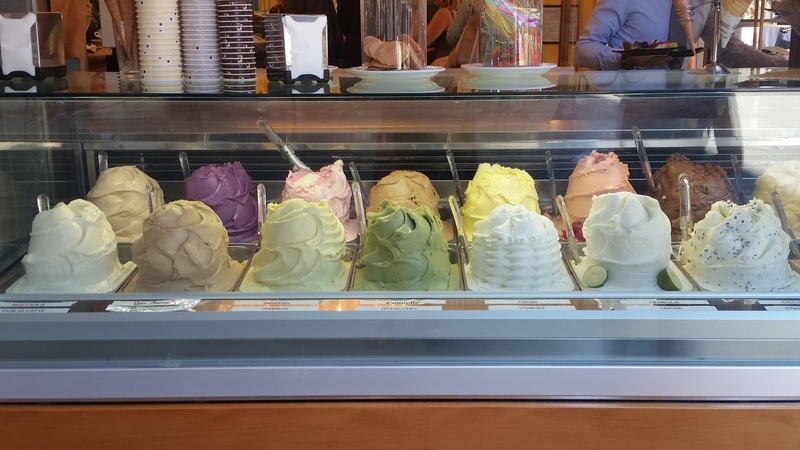 Now I really want to go to Italy …. Beautiful , my list is piling .. Thank you for sharing..